San Francisco plastic surgeon David S. Chang believes that a great result in plastic surgery starts with individualized care that comes from listening to the needs of his patients and paying attention to the details. Whether it is a cosmetic or reconstructive procedure, Dr. Chang personalizes his approach to each of his patients to achieve the best results possible. Dr. David S. Chang graduated with honors from Dartmouth College, where he played varsity lacrosse for four years. He received his medical degree from the New York University School of Medicine. Dr. Chang completed his training in general surgery at the prestigious University of California, San Francisco (UCSF). During his training he completed a research fellowship in vascular biology at the Pacific Vascular Research Laboratory. Dr. Chang continued his specialty training in plastic surgery at UCSF and is board certified by the American Board of Plastic Surgery. 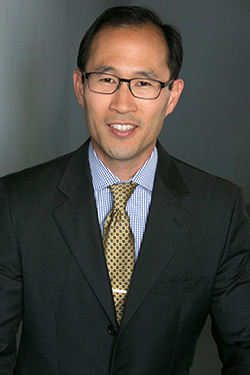 Upon completion of his plastic surgery training, Dr. Chang was recruited to work on the faculty at UCSF, where he was Assistant Professor of Clinical Surgery in the Division of Plastic & Reconstructive Surgery. He was active in teaching medical students and residents the art of plastic surgery, and has authored several textbook chapters and articles on plastic surgery. Since 2009, Dr. Chang has been in private practice in San Francisco and the East Bay, but he continues to be on the volunteer clinical faculty at UCSF. Dr. Chang specializes in all areas of plastic surgery, including cosmetic surgery of the face and body. He also has a particular interest and experience in breast reconstruction, including the DIEP flap after mastectomy, an area that he finds especially rewarding. Dr. Chang is a member of the American Society of Plastic Surgeons, the American Society of Reconstructive Microsurgery, and the San Francisco Surgical Society. He is a Fellow of the American College of Surgeons. Dr. Chang recently has earned Top Doctor status on RealSelf.com in recognition of his high patient ratings and favorable feedback. 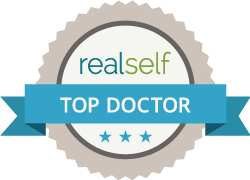 The RealSelf Top Doctor badge is awarded to less than 10% of the RealSelf doctor community.